I'm completely obsessed with The Hunger Games trilogy! I've read the books twice each now. 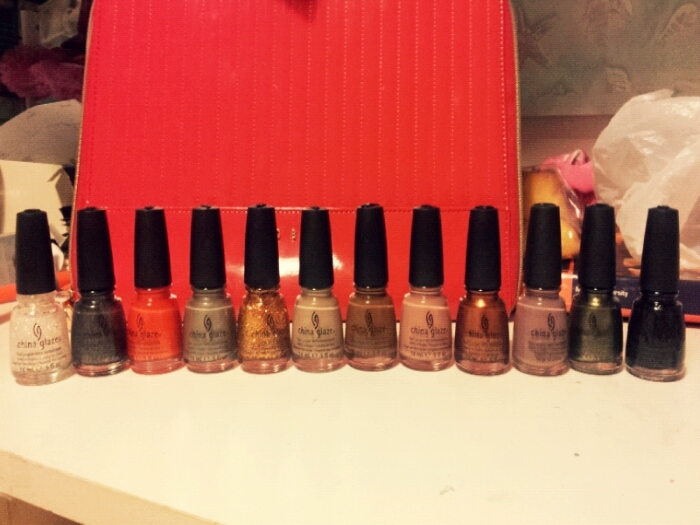 China Glaze released a collection called "Capitol Colours" which was inspired by The Hunger Games. The collection features 12 new polishes, each representing one of the districts in the books. I bought these at OzNail Beauty Supplies in Braybrook. 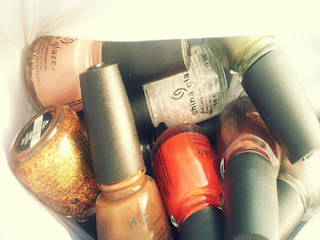 They sell a huge variety of nail polishes including O.P.I, China Glaze and Orly. I bought 11 of them - except for Fois Gras. I already have Below Deck from the Anchors Away collection and it looks really similar - it's a tad lighter than Fois Gras. Now that I think of it, the one I should have traded in was the Dress Me Up. In the bottle, it looks exactly the same as O.P.I's Barefoot in Barcelona. 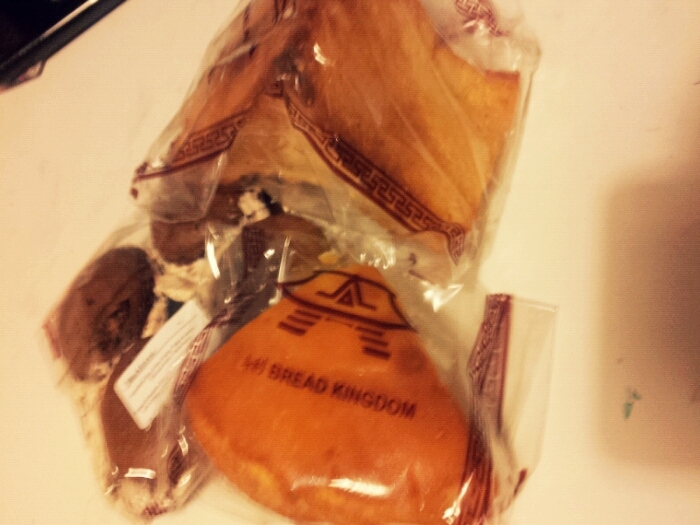 I may go back just for Fois Gras, just to complete the collection. 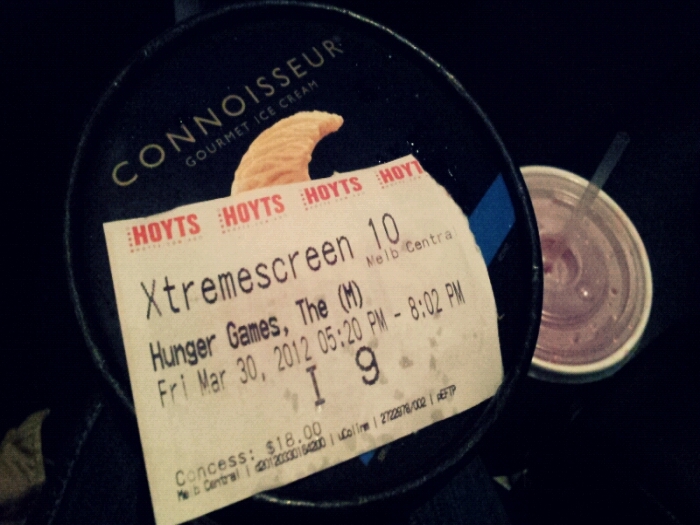 Bibi and I also went to see The Hunger Games. I thought it was very good considering how much content the books had. I know for many people, the main complaint was that there were some details that were left out. I think the writers did a really good job trying to capture the whole book in the tiny space of 2 hours. I recommend it to anyone who hasn't read the Hunger Games!